While I was at it I made three more projections at more or less the half way mark of the seasons. No big upsets to await. 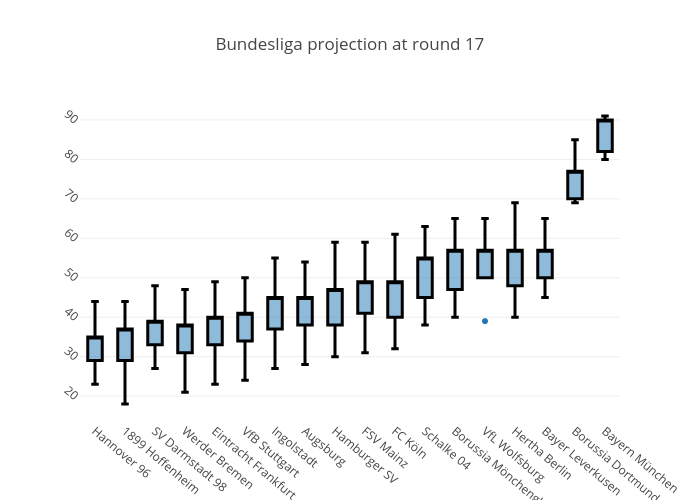 Bayer Leverkusen seem to have the best possibility to reach the third place but that race is the most open one with at least 5 teams having a true possibility to do that. Where we see a three team race for the title! Barcelona is trailing here by one game so they actually are a bit ahead of Real if they win that game. The race for avoiding relegation here is wide open. 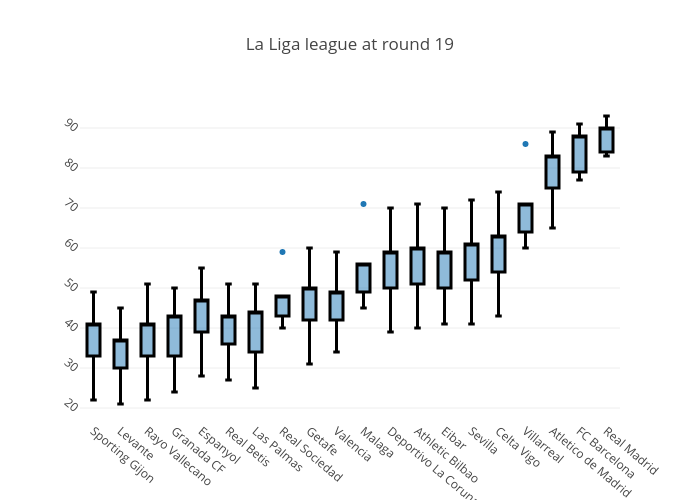 At least 7 teams are directly involved and the only ones so far that statistically has secured a new contract are Villareal, Atletico, Barca and Real. Thank you for an interesting post as well as an interesting blog. 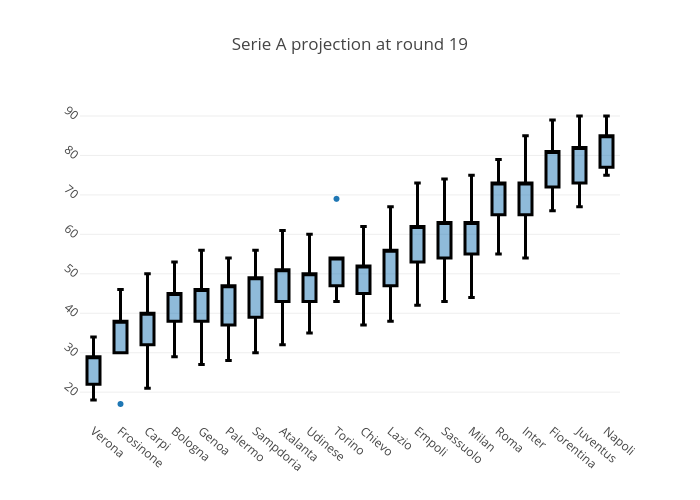 Just out of curiosity, is there any way you could benefit from these projections? Like betting for/against teams in your predictions? I have thought about that but haven’t looked into it but in theory I guess it would be possible. I can look into it and get back to you! Previous Previous post: The how good was my prediction post.